THAT'S IT! Dramatica reveals so many 'secrets of the trade' when it comes to writing, strucutre, sequence s, genre and more, unlike any other writing theory offered in whatever format. Dramatica has empowered those who have no background in writing or the study of it. @everyone I don't consider authors to have (or be) competition. No one writes exactly like you, and avid readers want to read lots of books! OH Prish, please don't think of me as bitter. I am not. Of course, in any field it's about hard work and the struggle to get accepted. In a writers case, even just to get read. I accept that. That's not my problem. Pick any self-help writing book as far back as you wish, and you will learn that only a handful, achieve what they promise in their title - to help the novice through enlightenment, by offering them gems of knowledge that will past a life time. 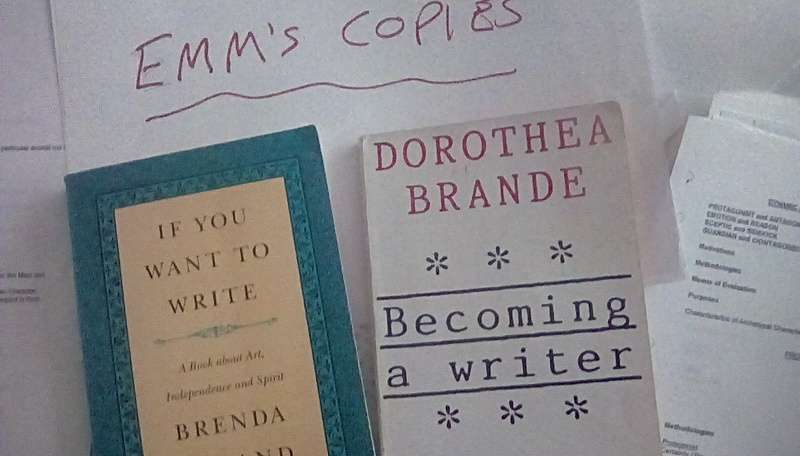 Two such books K have read again and again are Dorothea Brande's uplifting 'Becoming a Writer' and Brenda Ueland's dreamy and poetic 'If You Want To Write'. See pix, please...Emm. Thank you for the pictures and recommendations. The master plan is to get them and tell the husband the writer from Liverpool recommended them, then leave them lying around...haha. Cheers! I think it comes down to innate ability. Many ballers have trained with LeBron, lived with LeBron but LeBron still has an edge of them. All the secrets in the world won't help you you don't put in the work. That's understood. That said, I'm talking about published self-help books that fail the reader in a big way. That purposely leave out the important stuff. For example, Very few, if any, books on screenwriting Starr rhe keen student towards sequences and acts; except in a straightforward manner. The kind of information and knowledge DramPro offers the student is astronomical and priceless. I'm sure, any resentment towards DramPro from the disbeleivers stems from this. They don't like the secrets to get out there! dramatica is monumental. You should check out the dramaticapedia website and also google mental relativity by Melanie Anne Philips. Done the mental relativity (genius). Aware of but for some reason have not looked at the other, I imagined it was the same as the dictionary. Thanx Samuel for going out of your way. I appreciate it.